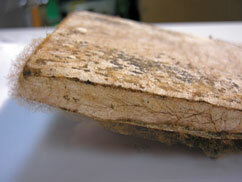 Drywall will ultimately cause more problems than it solves because of mold and moisture damage. Even in the best of situations, drywall has its limitations. For example, if you finish the basement with drywall, you're likely going to want to want to install cabinets, shelving, large pictures, and perhaps a plasma TV on the walls. However, drywall can only be counted on to support 10 pounds without looking for a stud, making it a poor choice for easy hanging and installation. While studs can be used to hang these materials, they are far from optimal, as studs can be difficult to locate and are often unevenly placed on the walls. Installation of drywall is a dusty, dirty job, with the debris being an irritant to the eyes, lungs, and sinuses. Normal vacuum cleaners will quickly clog with the dust, and a professional drywall vacuum costs about $650. 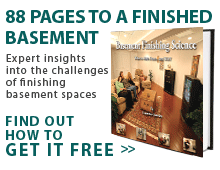 Total Basement Finishing can offer better options to create your finished basement. To schedule a free quote for basement wall products of for any of our basement finishing services, contact your local dealer today! Once the installation is finally completed and the mess has been cleaned, the homeowner's problems with his basement walls have only begun. Even mold-resistant drywall can grow mold and take damage from flooding and moisture, and the warranty on these products is extremely short. In a study conducted by Home Energy Magazine, they found that members of the home inspection industry in some regions found basement moisture problems in as much as 50% of the basements they visited. As this moisture makes its way through the concrete basements and collects on the drywall, mold will begin to grow. In an inspection they conducted of 27 basement walls, 18 showed signs of extensive damage and 16 (not necessarily from the water damaged sample) showed signs of mold damage. Samples taken from these mold samples showed that every sample contained at least one mold that could be harmful to human health. Inspection also showed that the finished basement wall would not protect the homeowners from the spores growing on the other side. Signs of mold include cracking and peeling paint, bulging areas behind the paint, foul and musty smells, and discolorations in the walls. Drywall is cheap, yes, but the end result from the installation is to transform your basement into an area with bland, white walls that will crumble and break easily. Mold and moisture will destroy them, and if you ever have a plumbing leak or foundation water in the basement, you can expect ruined walls not covered by a warranty. This is not your best option! Fortunately, there's another way. Schedule a free estimate with your local Total Basement Finishing dealer, and discover which of our products are the best for your finished basement!